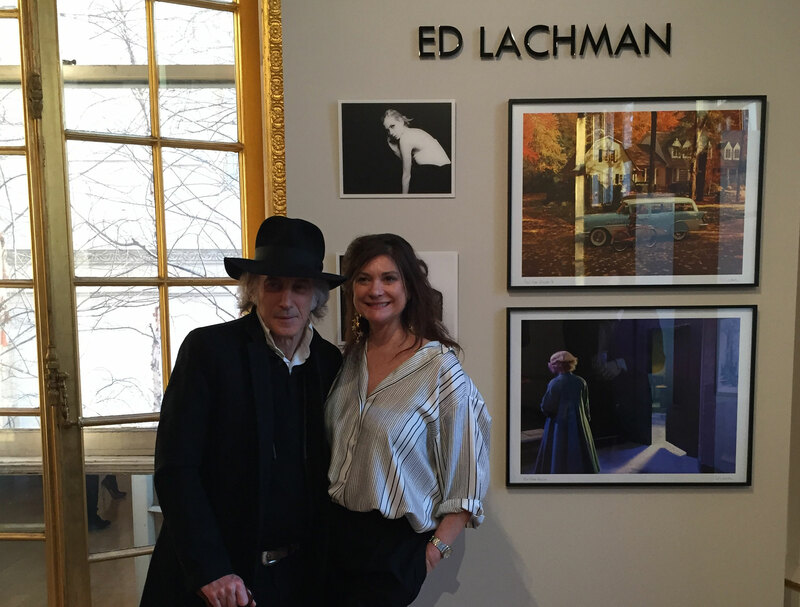 Ed Lachman, ASC at the opening of “Galerie Cinema” in New York on March 9. Galerie Cinema is an exhibition of photos by filmmakers. It’s open to the public from March 10–April 10, 2015 at Payne Whitney House, 972 5th Avenue (at 79th Street) in New York. The white-marbled mansion was designed by Stanford White and built from 1902-06 for Payne and Helen Whitney. It’s now the home of the French Embassy’s Cultural Services. The New York group show features the work of cinematographers Ed Lachman, ASC and Agnès Godard, AFC; directors Cédric Klapisch, Atiq Rahimi and Jan Kounen; actors James Franco and Vincent Perez;, photographers Kate Barry and Harry Gruyaert; and director-photographer Raymond Depardon. 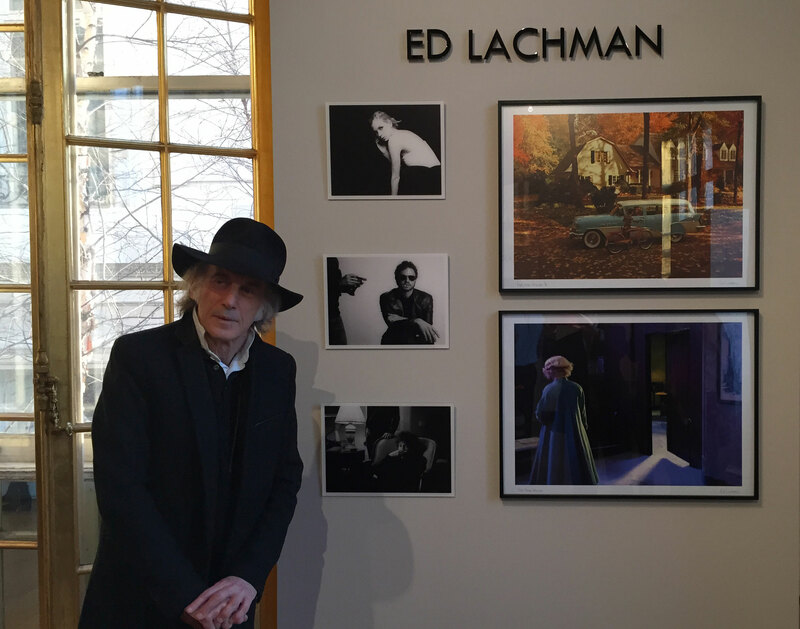 Ed Lachman’s work includes reprinted Polaroids from “I’m Not There” (2007) for exposure tests on Heath Ledger, Kate Blanchett and Michelle Williams in the Todd Haynes directed drama on Bob Dylan. (Aaton LTR, Angenieux zooms, Canon and Cooke Lenses and Moviecam Compact, Angenieux zooms, Cooke Lenses.) Stills from “Far from Heaven” (2002), with Julianne Moore and Dennis Quaid came from Ed’s Moviecam Compact with Cooke S3 and S4 lenses, and then printed on Baryta Fine Art Paper. The opening reception on March 9 coincided with the 20th annual New York Rendez-Vous with French Cinema, organized by UniFrance Films, which helps promote French cinema around the world. The Galerie Cinema exhibition, in cooperation with the Cultural Services of the French Embassy, was made possible by Angénieux (thanks Jean-Marc Bouchut for the invitation), Le Fonds Culturel Franco Américain, and Natixis and the optics manufacturer. Support was provided by the Aperture Foundation.